Home to NASA and the Astrodome, Houston is an expansive U.S. city blending Texas hospitality with the best of the Southwest. Just inland from the Gulf of Mexico, Houston offers a range of music venues, museums, art galleries, and amusement parks. Watch the renowned Houston Ballet or get moving in one of the city’s popular nightclubs. Try some traditional BBQ, a seafood dish, or Tex-Mex style food to taste how surrounding cultures have influenced this city. If you’re looking for the small-city feel with an array of entertainment, look no further than a Houston vacation. Resort info: Ideally located within The Galleria shopping complex, this uptown Houston hotel delivers modern amenities and classic elegance. 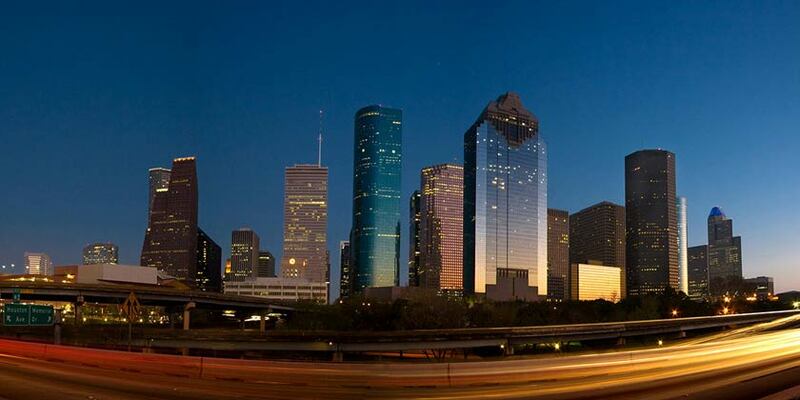 Resort info: Located in the heart of Uptown Houston, the Royal Sonesta Hotel Houston is just a few blocks from The Galleria for shopping, dining and entertainment. Resort info: This spectacular luxury hotel is surrounded by a two acre lake yet is only minutes from downtown Houston, Minute Maid Park, and Reliant Stadium. Resort info: Complimentary shuttle service within downtown. Within walking distance to Theater District, Convention Center, Minute Maid Park and Toyota Center. Resort info: Setting the standard for exceptional accommodations and amenities, located just steps from one of the most famous shopping districts in the world. Resort info: Guest rooms feature contemporary decor with stylish furnishings including the Hyatt Grand beds, state-of-the-art media and work center. Resort info: The Four Points by Sheraton Houston Southwest is centrally located between downtown and the Galleria, with easy access via U.S. 59 at Kirby.